Many of Houston’s food-centric events highlight luxurious meals and big festivals. By contrast, the annual Empty Bowls fundraiser turns the metaphorical tables by focusing on those for whom even just reliable meals is luxury. 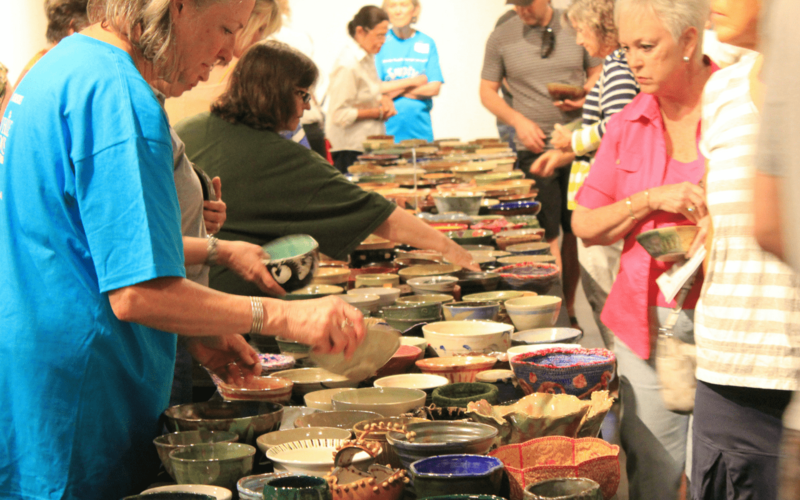 Local ceramists, woodturners and mixed media artists donate bowls that are auctioned or sold to the public. Proceeds from the Houston event go to the Houston Food Bank, which has received $801,550 cumulatively over the 13 years the fundraiser has been held. That’s enabled the food bank to provide 2.4 million meals. 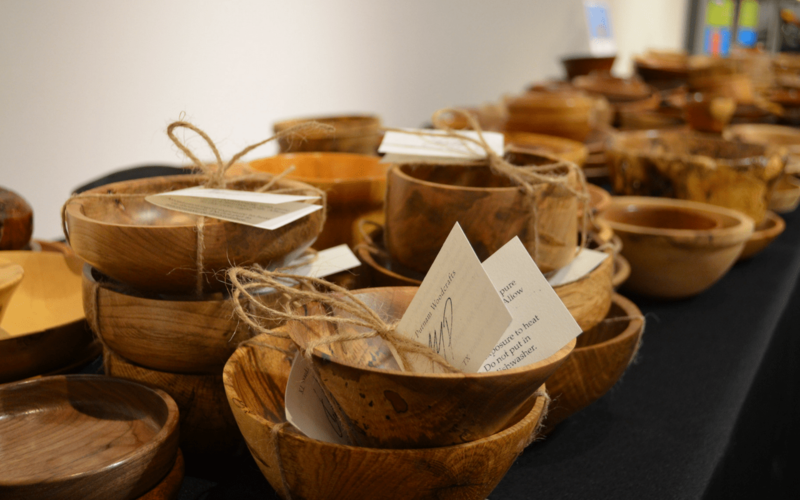 “The bowls, created by our area’s talented artists and students, are containers of both food and spirit,” says Empty Bowls Houston committeemen and co-founder Thomas Perry, who is also a donating artist. “As people enjoy eating cereal and soup from their crafted bowls after the event is over, they appreciate the reminder that others in the Greater Houston community are able to eat nutritious meals because they purchased these bowls.” Most of the bowls created are functional; others are intended for display as unique, meaningful art. This year’s Empty Bowls Houston fundraising efforts starts in May with a series of four distinct activities.The fundraiser kicks off with The Mad Potter “give back day” at three Houston locations. The glaze-your-own pottery shop stocks assorted pre-shaped items for customized designing. On Wednesday, April 25, The Mad Potter will donate 10-percent of sales from any customer who says they are painting for Empty Bowls Houston. Individuals are welcome and groups are encouraged. Participating locations are at 1963-A West Gray, 6504 Del Monte, and 4882 Beechnut in Bellaire. For more information visit www.facebook.com/themadpotterstudio. Then, in advance of the main Empty Bowls event, Houstonians can get a jumpstart on bowl selection at the preview party on Friday, May 18 from 6 to 8 p.m. It’s hosted at the Houston Center for Contemporary Craft and includes light bites, beer and wine. Tickets are $50 each and benefit both Empty Bowls Houston and Houston Center for Contemporary Craft. The title event happens on Saturday, May 19 from 11 a.m. to 3 p.m. (or until the soup lunch runs out) at Houston Center for Contemporary Craft, 4848 Main. For a $25 minimum donation, attendees receive a lunch of soup and bread from Sweet Tomatoes and then choose one of over 1,500 locally made bowls to take home. Larger bowls will be available at a higher price with lunch included. In addition to the single-day events, a nearly month-long invitational exhibition and silent auction will run from May 5 through May 30 at Archway Gallery at 2305 Dunlavy with all proceeds donated to the Houston Food Bank. More than 30 area artists, working in both 2D and 3D, created bowls out of various media, including clay wood, glass and fiber.